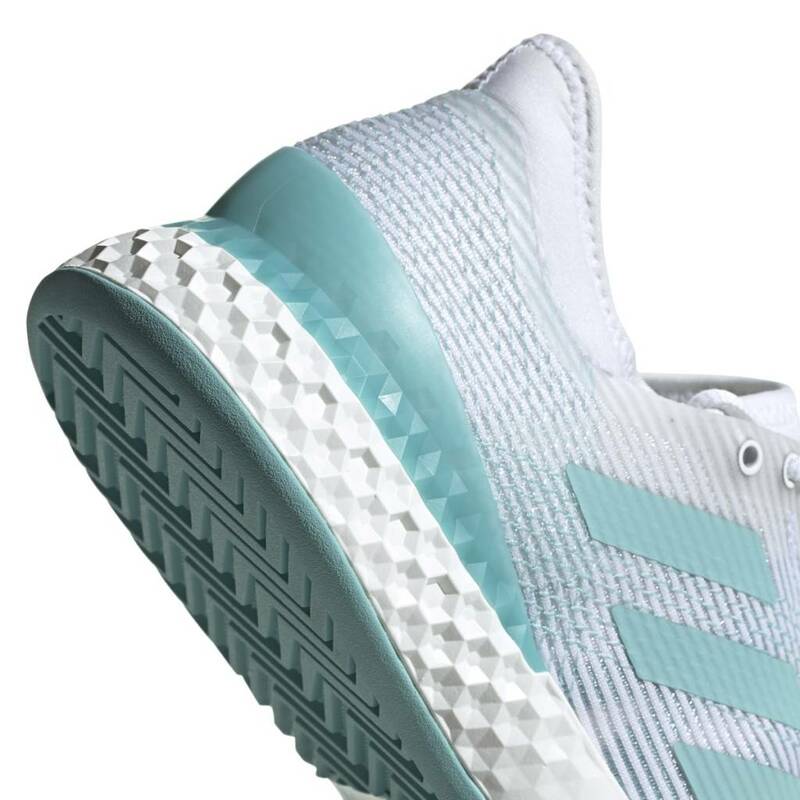 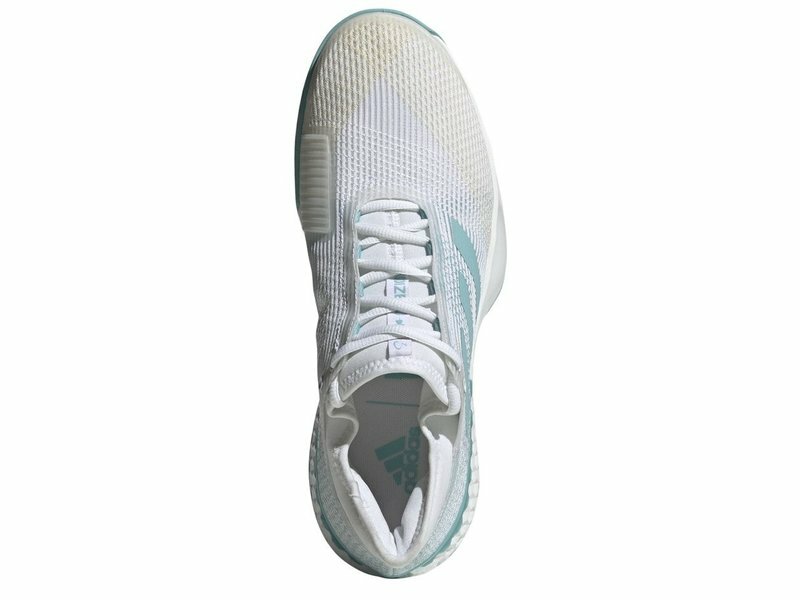 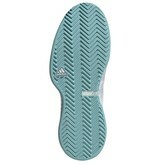 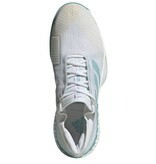 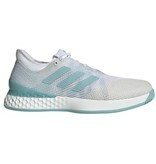 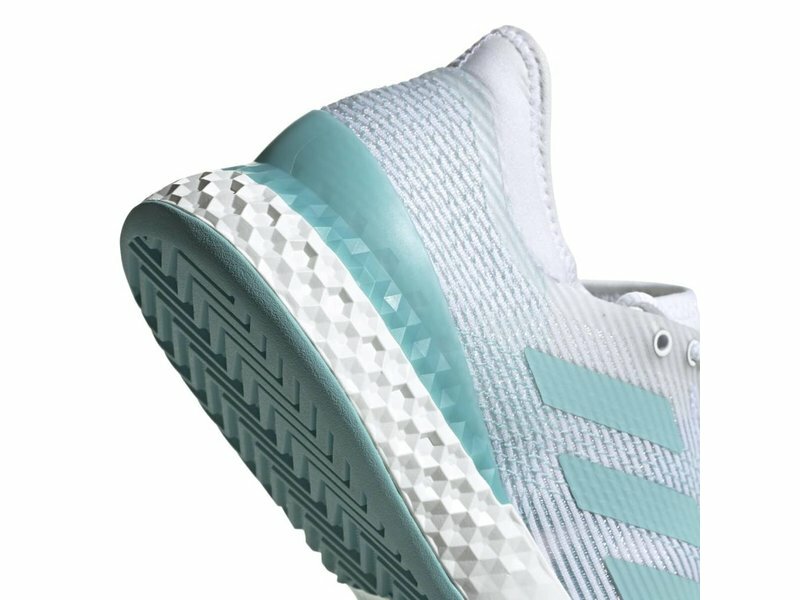 The adidas Adizero Ubersonic 3 Parley men's tennis shoe in white and blue is engineered to be quick on any surface. 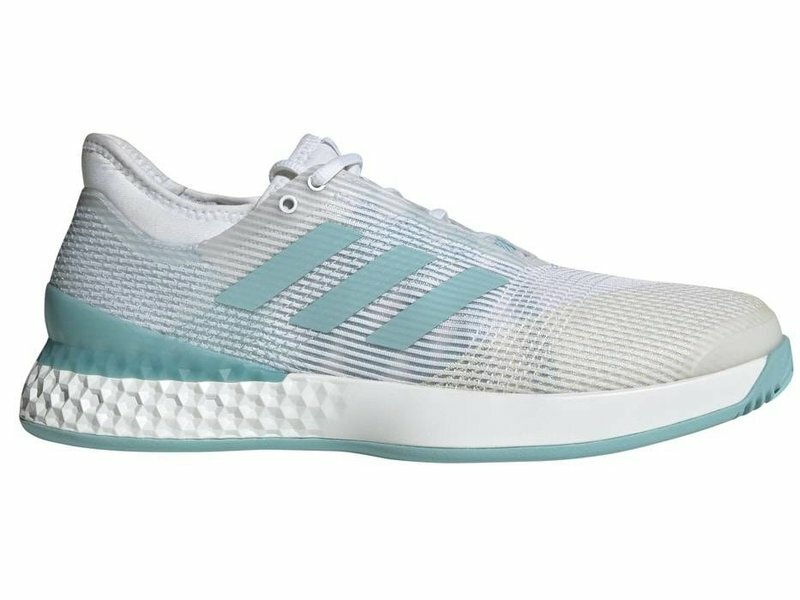 Play for the oceans with adidas and Parley in these shoes commemorated towards their partnership of ridding the oceans of plastic. 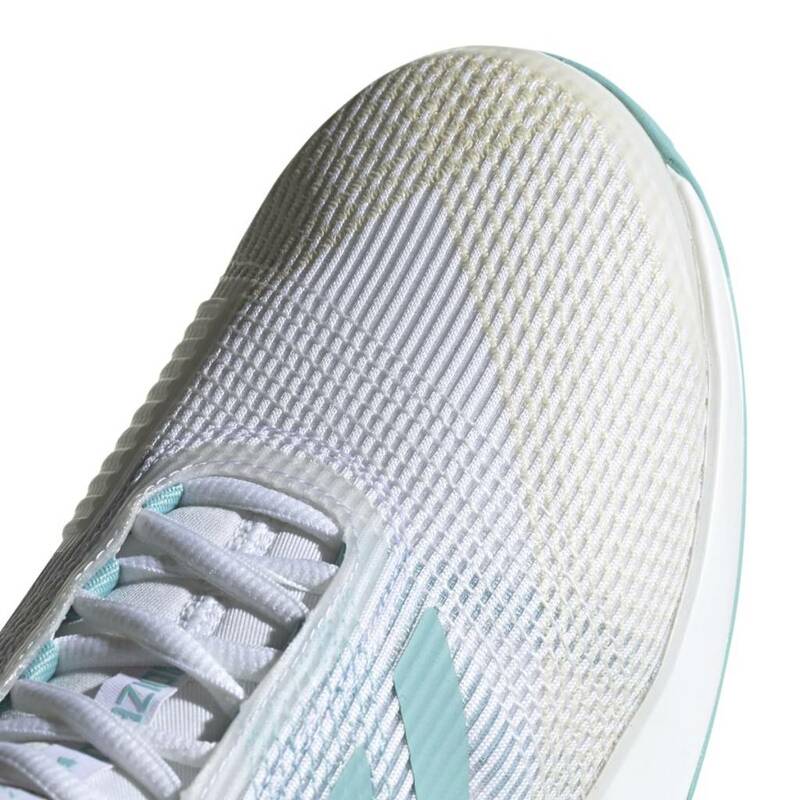 The interlocking fibers of the woven upper are constructed with Dyneema. 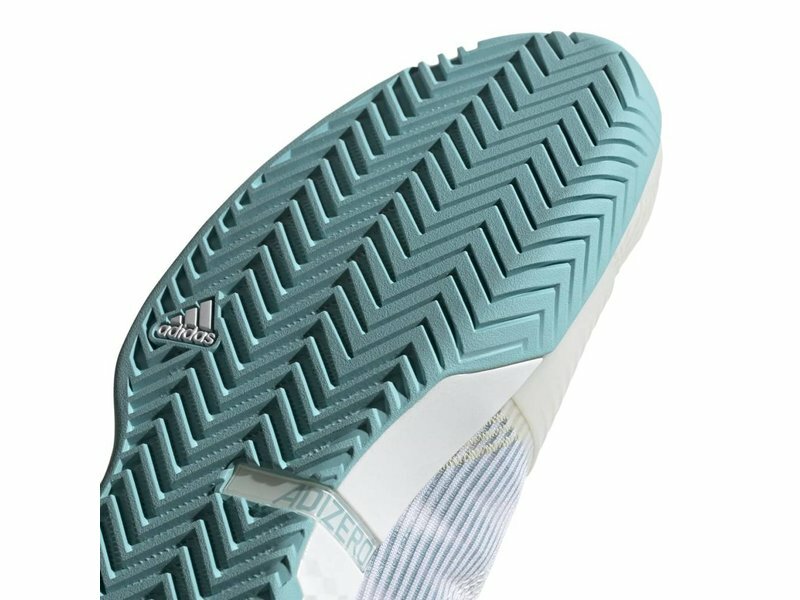 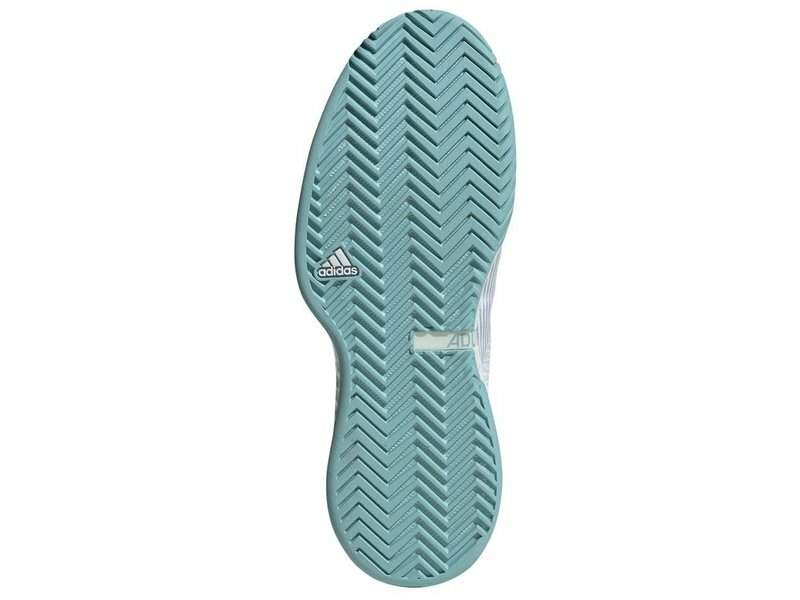 One of the world's strongest fibers (Dyneema claims it is the strongest fiber), Dyneema has been added to adidas' targeted "no stretch zones" adding stability and security. The upper keeps you planted firmly, while allowing excellent freedom of movement. 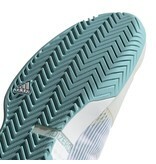 The Sprintgrame construction guarantees stability and flexibility on a supportive shoe chassis. 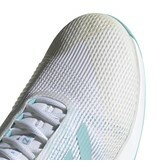 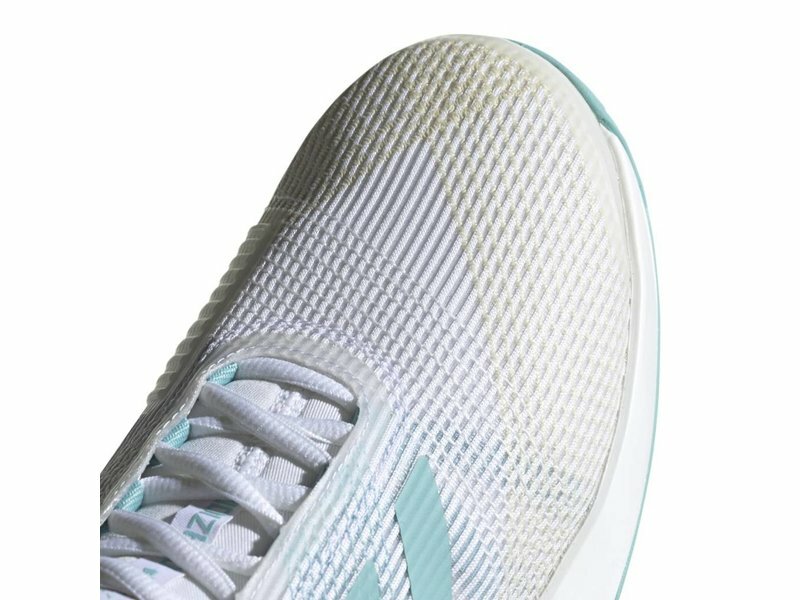 A polyurethane midsole gives you responsive and durable cushioning.